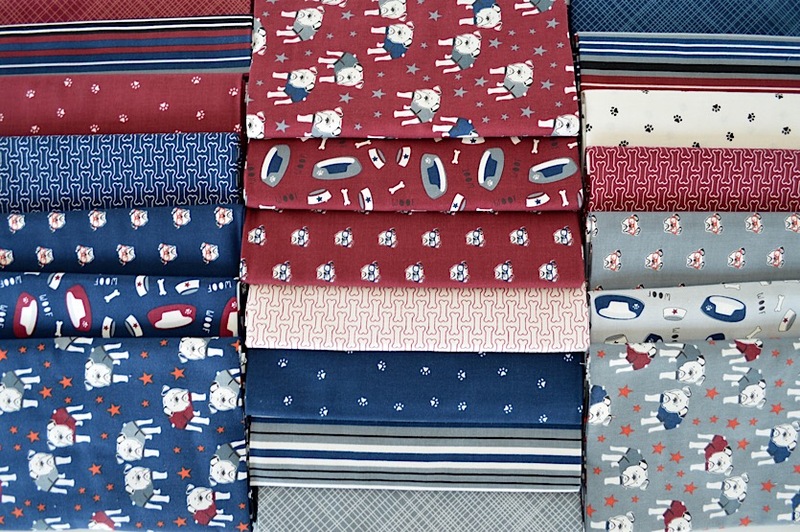 Hey Mister is the newest fabric collection designed by My Mind’s Eye, and if you are a dog lover, this is for you! 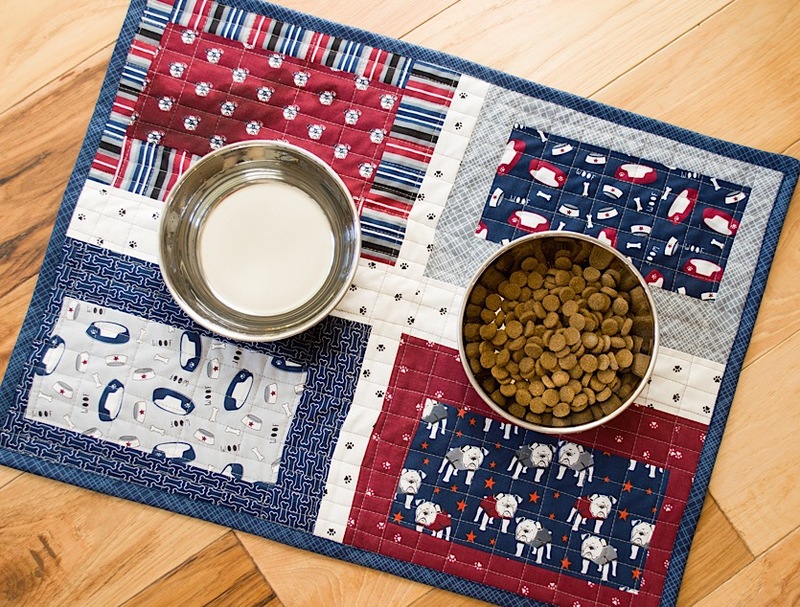 Featuring four-eyed canines, sweet little paw prints, doggy bowls and, dog bones, this fabric line has it all! 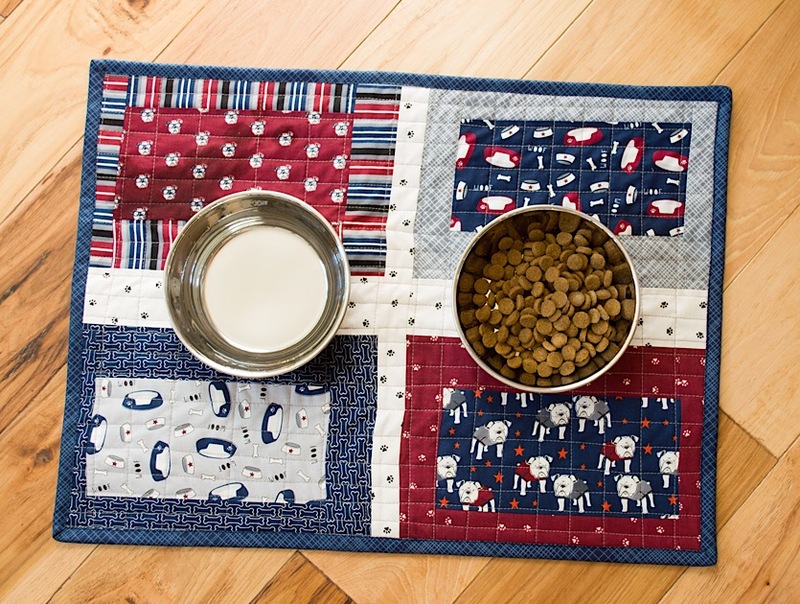 Taking inspiration from the dog theme, I decided to make a doggy dish mat. I don’t know about other dogs, but mine has no problem splashing water all over the hardwood floors every time she takes a drink. 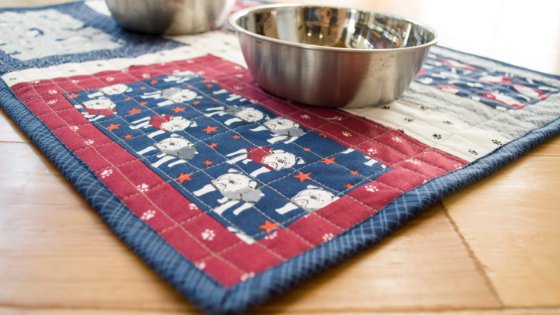 Placing a little mat under the dishes helps catch the drips and looks cute, too! 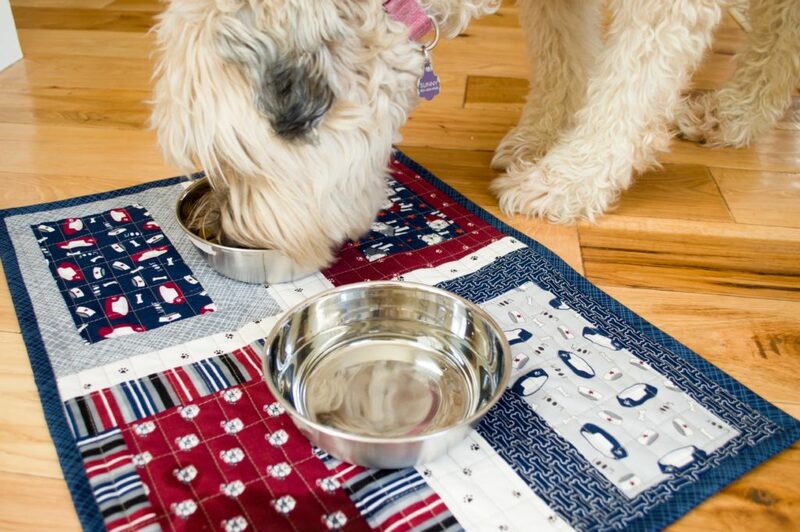 You can see here, this mat immediately made itself useful as Miss Sunny wasted no time spilling water on it. 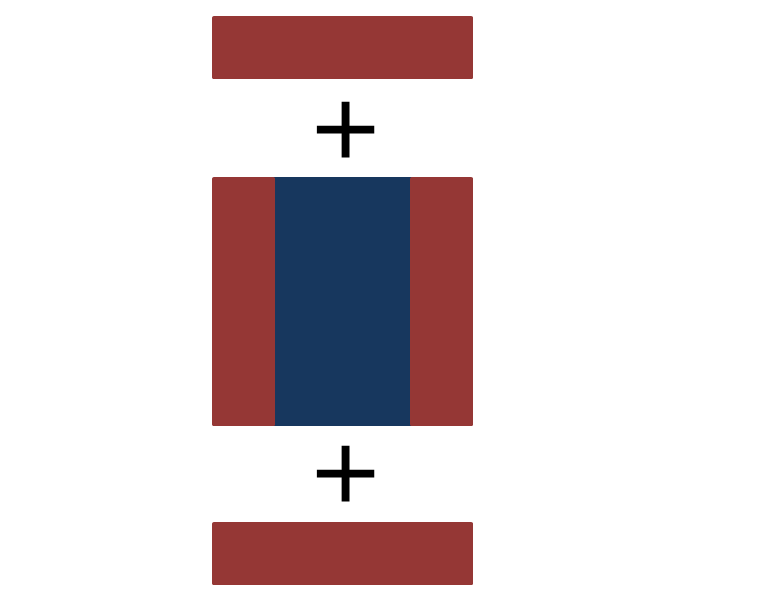 Let’s begin by making the four blocks. 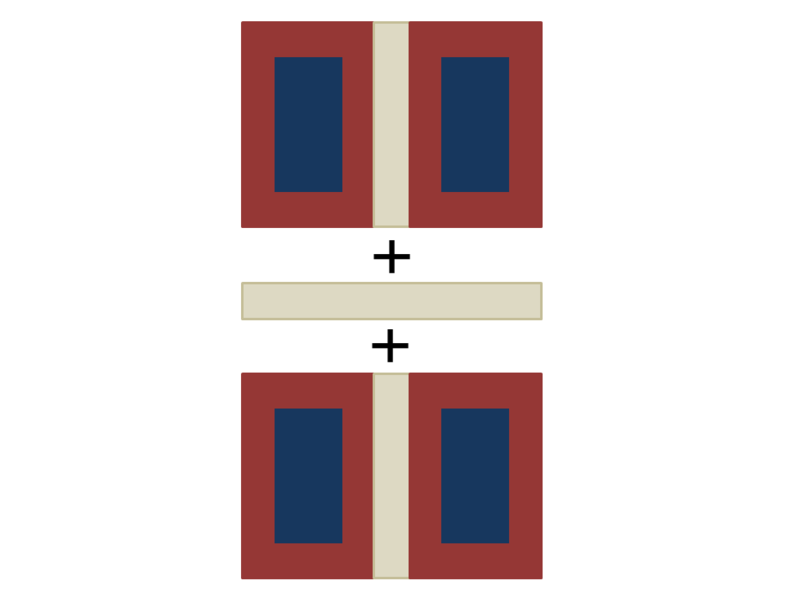 Attach a 2″ x 8″ strip to each side of a center block. Press. 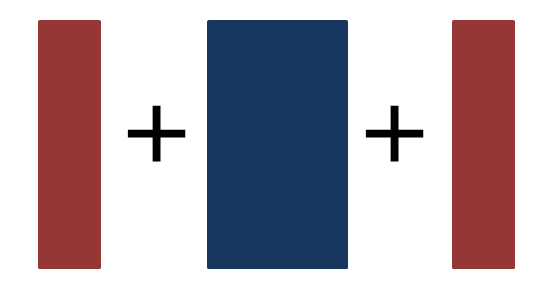 Now attach a 2″ x 7″ strip to the top and bottom. Press. Repeat for all four blocks. 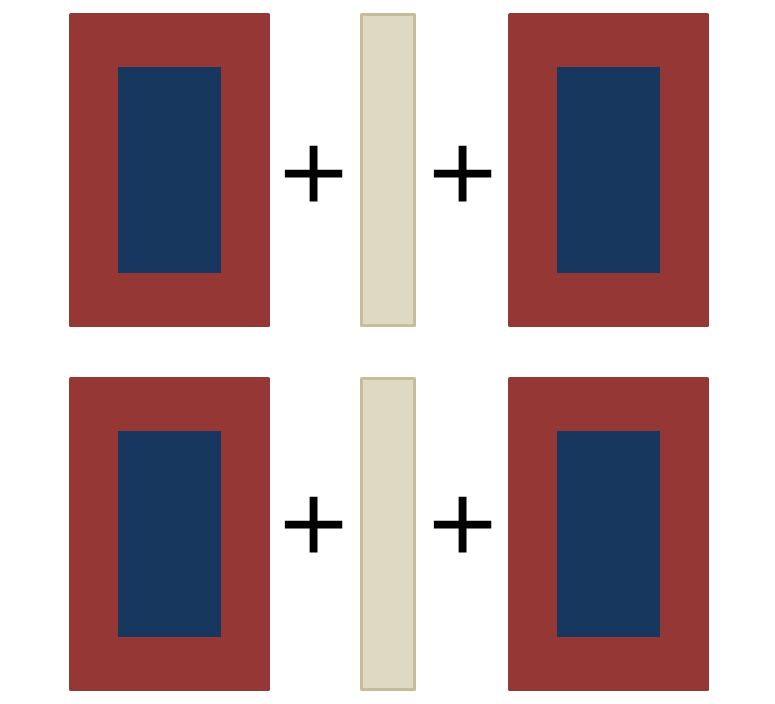 Sew a sashing strip along the long edge of a block, followed by another block. Press. Repeat. Add a center sashing strip to join the two rows. Press. Layer fabric back + batting + top. Quilt. I did some simple straight line quilting in a grid pattern, but you could try free form or wavy, or any style you like. For this small project, anything would look fabulous. You can see one of the drawbacks of straight line quilting plain and clear in this photo. Notice the “pull” in a couple areas, making the center sashing look a bit wonky. This can be mitigated by slowing down and using a walking foot. 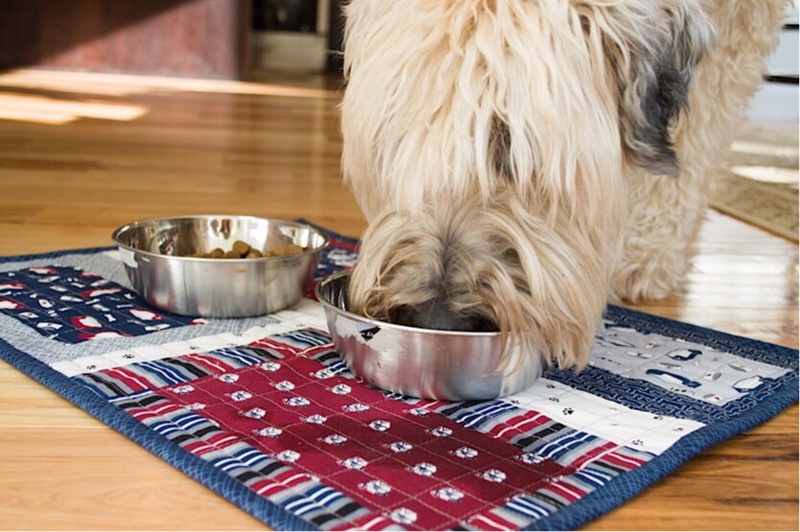 Wonky lines or not, this cute canine gives her stamp of approval! 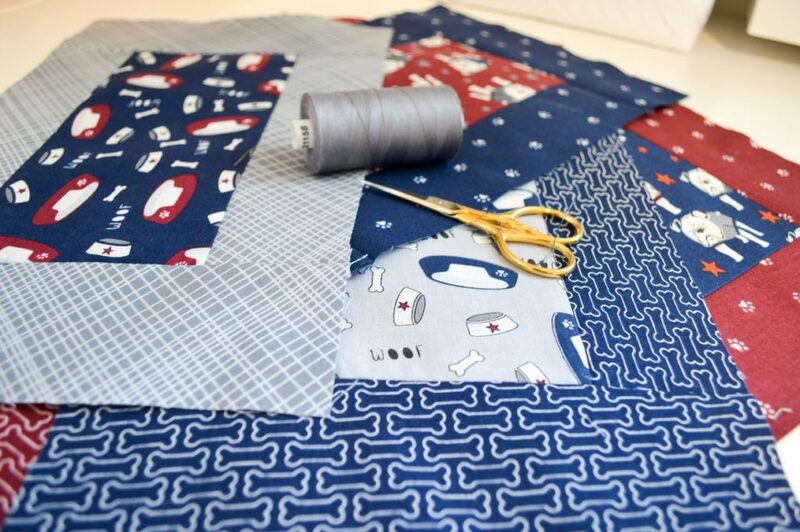 Hey Mister, designed by My Mind’s Eye, is available now at your favorite local and online quilt shops, so pick up yours today and share your projects with us on Instagram using #rileyblakedesigns #iloverileyblake #fabricismyfun.